Hi, and thanks for visiting. My name is Meredithe and I’m a passionate quilter, married to a passionate golfer…the perfect union! When B plays golf, I get uninterrupted time to sew! We live in a leafy suburb of Melbourne (Australia), and when I’m not sewing on my own I’m usually sewing with friends. I hope you enjoy seeing the view from my world. Hi Meredithe, this blog looks soooo good. My next day in town will include a visit to Kimono House, after lunch at Y&J’s of course, and followed up by a stop into Beer De Luxe.. While touring Europe a few years back we met a great couple from Australia. Meredithe and “B” certainly are great people to be with. We departed ways in London. Since then we have retained our friendship via e-mail and photos. It’s great to stay in contact with people on the other side of the globe. Meredithe, your blog is great! You’re certainly a creative writer and photographer as well. Keep up the good work!! I’m certain that “B” values his time on the links while you spend time with your friends and continue writing. Meredithe, Here is somewhere that definately has your DMC perle. I was talking to Di today and she told me you’re making a quilt with the ‘bird fabric’ too. I have been working on mine for quite a while now and have put on my final border. We must get together and have a look at what each of us has made. Haven’t put a photo of it up yet, waiting for the others to start. Maybe we should give them a nudge in the right direction? 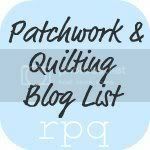 Thanks for your blog – it is great to catch up with all things quilty. I love the multi coloured cardigan that you friend knitted. I haven’t knitted for ages as I haven’t found anything that caught my eye but that did . Is the pattern available.? I met you at an applique society meeting at Somerset Patchwork last year when I was down from Sydney visiting my son and his family. I have been following your blog since then and I love seeing the projects and hearing of the shopping and visits, it is a delight to share these happy little moments. I cannot believe that every time I read your blog, I feel that you are reading my mind and I seem to get confirmation of a design or thought I was wondering about, it seems that quilting friends have many things in common. Today I saw the picture of the V@A clamshell and I had been considering this for the outside borders of an applique and clamshell quilt centre I started last year, I am now sure this is the direction I will follow, and I was considering making a carpenter’s wheel quilt for one of my grandsons, and there you are showing me that the templates are available. Drayton Hall quilt was the one I showed the group last time i was at Somerset. PS I loved Miss Fisher also and was dissappointed when it ended, Hope they do another series. I’ looking for newspaper print and saw yours on your 20th July post and would like to know if would mind telling me where you purchased it. Thanks muchly – and see you soon! I am not sure if you “accept” awards. However, I just wanted to let you know I nominated you for 2. The Very Inspiring Blogger and One Lovely Blog Awards. To find out more you can go to my post for today and check it out. Thanks for being such a wonderful Blogger. Lol! On my other comment, I talk about how “we’re heading into winter here”, like you’re on the other side of the world, and now I see you’re also from Melbourne! Hi Meredithe I met you in 1996 at a machine quilting class in Melbourne with Lee Cleland. You were so lovely and bought in a banana class for morning tea on the second day. ( you gave me the recipe which I still have in my book) My friend at Pine Valley Quilts just sent me your blog to take a look at, so I will have to put it in my favourites. Hi! Just to let you know I’m nominating you for the **Super Sweet Blogging Award** I don’t know if you’ve had one of these before, but if so here’s another one! Please don’t feel obliged to post. However, if you would like to receive this award, simply copy and paste my post (under Super Sweet Blogging Award entry) at http://cloudcoucoucrafts.wordpress.com/ and follow the rules. Hi Meredithe! Just wanted to let you know that I received my prize yesterday in the mail! Thank you so much for the giveaway and for publishing a beautiful blog. I enjoy it immensely! Hi Meredithe, I am finishing off two quilts made by a lovely 92 year old quilter. I think one of the quilts is a pattern created by you. It’s called ‘Fenwick with Meredithe Clark’. She tells me she attended the class at the RACV Club in Melbourne. This is probably a long shot but I was wondering if you still had the pattern. I have page 1 with the fabric requirements but not the rest of the pages. Hi Meredithe, Went to sewing today and got your envelope. Thank you so much. It is just wonderful and I hope I have something to show you in the [not to distant] future. Thank you Dorothy. ps did you read the ‘chat’ on our game? Meredithe, I am also looking for the pattern for the Double Dresden Plat quilt Carolyn was working on? Any help would be appreciated! Are all of your classes hand piecing? Do you mark the 1/4 inch seam allowance prior to stitching? Just curious. I’m a hand quilter, but usually piece by machine. 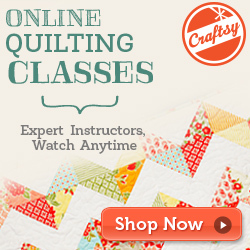 Hi Meredithe, I have been reading your blog for a few months now and really enjoy the quilts. I was an avid quilter until I fell off a horse, and fractured my back in 5 places. I was unable to sit at a sewing machine, so I primarily knit now and hand piece when I get the notion to. I’m curious though….you mentioned margagons. I am unfamiliar with this block and wonder how it comes together. It looks like if you sewed up the sides of it, it would become a 3D cup. Could you explain this to me? Keep up the blogging, I love to see what everyone is working on and of course the little delicacies you have for tea. Meredithe, out of all the blogs I read, I think I love yours the most. The pictures of all the projects are inspiring and make me want to start quilting again. The food makes me a little envious that I’m no where close to dropping by for tea. It is wonderful to get to know you all through this blog. Just know I’m going to go through my stash as soon as I get home from work and see what wonderful quilt I can create for Christmas. Meredithe could you possible let me know more about the embroidery Jan is doing in the picture? Could you get the pattern name and who it is by….ABSOLUATELY LOVE HER WORK!!! From reading your blog link sent yesterday, see that you are my new neighbor in Australia. And after viewing your awesome blog and quilting skills, know that you are very talented indeed ( my hobbies are only knit & crochet ). But I do not see any of your knitting projects here…..
FYI…I originally navigated to your socks photo when I searched “Star Athena”, “knitting” and “muscadine” in Google images. I have the “Sockupied” book, but it does not have not a clear photo of the “top” of the foot on the socks, and in searching for more pics of this pattern i stumbled on the beautiful green ones you created. Yours, BY FAR, are prettier than the ones by the designer pictured in the book. So, I began knitting my first Muscadine a few days ago (which are also my first toe-ups), and stopped last night because the yarn was too heavy ( a DK wool blend ) and had a problem with some lacey inconsistency at the top of the foot – hence wanting to see a clear top-and-center picture of the foot. I think the combination of my 1. Choosing and doing a new “toe-up” cast-on, 2. Not liking the way the yarn was knitting-up and 3. my own errors after I finally completed the toe section (tried to fix some dropped stitches, but my “fix” did not look right) caused the need for a time-out. So I stopped for a research moment, and here we meet. Am logged-in now so I can research the colors of the yarn you used … do not want to be a ‘copycat’, but I LOVE the shade of green you chose. My original color was a medium purple – a little lighter than the shade used in the book sample. If I do not care for the other yarn shades, I might knit-up some in your color (since we are a few miles apart, almost no one will know). Sorry for all this “TMI” info, but I really, really appreciate your quick response and answers to my questions which ***you and your photos online*** so helped in my time of need. It truly is a small, small world! Hi Meredith how do I join your blog? OMG I can’t go a day without seeing your blog. I live in Folsom California USA but feel I must have some Aussie in my blood. I can’t get enough of your blog. I am an 1800″s kind of girl but am just loving your Aussie style. Your fabric chooses are so happy and appealing. You make my day. Wish I could join your group in person rather than through your blog. Take care and keep on stitching!! !